Who doesn't love a good mystery? The Funko Classic Spider-Man Mystery Minis set reveals a few options for Marvel's golden boy along with his notorious foes and friends. 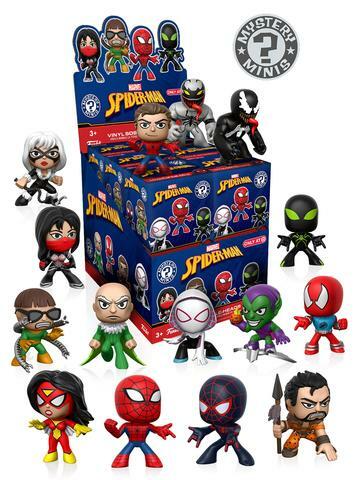 Starting off, the Funko Classic Spider-Man Mystery Minis line adds new characters from the comic books that are not yet found in Pop! form, such as Sandman, Rhino, and Lizard, who dons a lab coat and purple underpants. More familiar subjects resemble their larger counterparts, including Spider-Gwen, Green Goblin and Doctor Octopus. 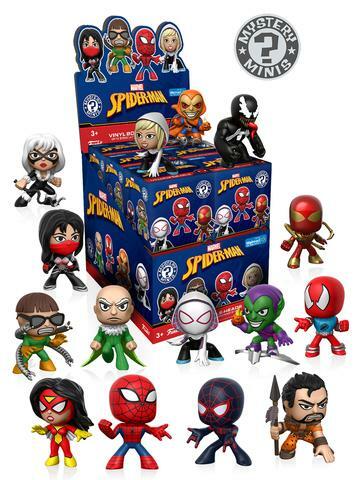 Shop for Classic Spider-Man Mystery Minis on Amazon. Of course, Spider-Man, Scarlet Spider, and Miles Morales (Ultimate Spider-Man) look like miniature replicas of their Funko Pop Spider-Man figures, while Vulture appears less intimidating than his Funko Pop Spider-Man: Homecoming release. Because the blind-box format keeps the element of surprise, completists have a somewhat difficult task of collecting the full set. 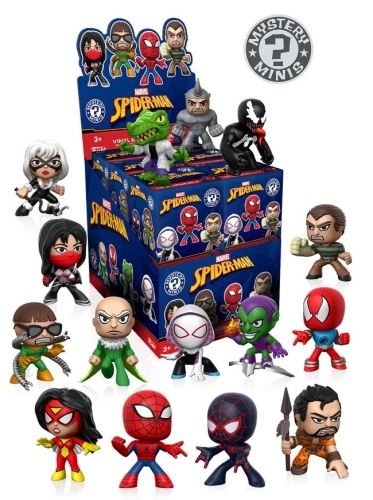 There are at least 20 figures, including Target and Walmart exclusives, both retail stores have three specific Classic Spider-Man Mystery Minis available in their case layout, each standing approximately 2 1/2" tall. Since there are just a dozen minis per case, fans will need more than one case to find them all. The specific odds for Funko Classic Spider-Man Mystery Minis are listed below. Specific figures for Target and Walmart are shown below. GREEN GOBLIN MYSTERY MINI - Classic MARVEL Spider-Man Funko Pop!